For some people, Mother’s day is a hard holiday. Either their mom’s are gone, or estranged, or there are too many moms in their circle – mother’s in laws, ex’s, “the all knowing” mothering types, etc. But for most of the world, Mother’s Day is special. Time to acknowledge the love, care, patience (albeit veiled at times), and TIME Mom’s give to their young. This is why I designed a special mother’s day item for my ETSY shop which reflects the TIME – literately! 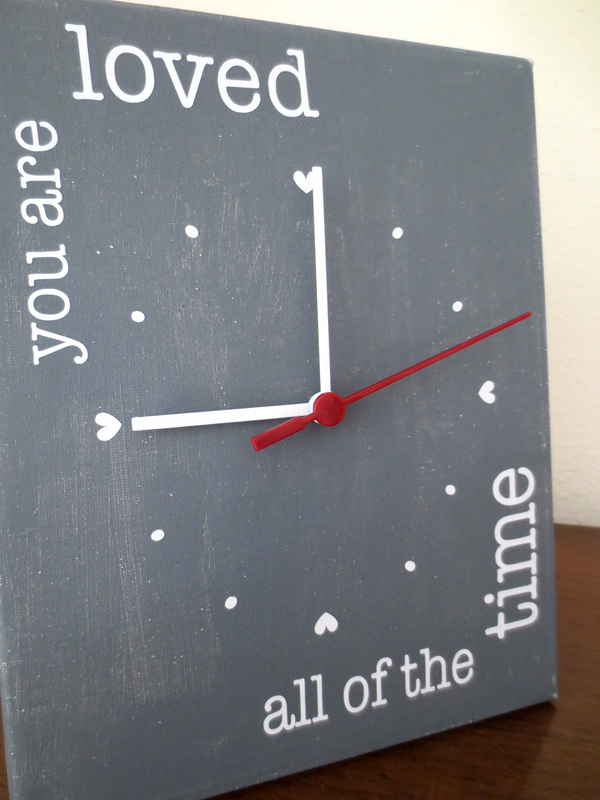 A canvas clock that expresses YOU ARE LOVED – ALL OF THE TIME. Doesn’t that say it all? And it can be gifted to anyone who have taken the time to give you love, care, a listening ear, a hug, etc. So pop over to my shop when you can and check it out.